There have been two new versions of TinyCI released since launch. 0.2.0 added hooks/callbacks, and 0.3.0 added a handy compact script to compress old build directories. In this post I’ll provide some details on the new functionality. A small CLI app for generating podcast RSS feeds from a directory of files. Similar to dropcaster but much simpler, and it supports a wide variety of audio formats instead of just MP3. The idea is to put a directory containing some audio files somewhere publically accessible over http, (dropbox works well) and then run this program to generate an RSS file, which can then be consumed by your podcast playing app of choice. Episode dates are read from the last-modified times of the files, and Title and Description fields are taken from the episode tags. A simple jekyll plugin to generate image thumbnails using libvips. You feed it the image path and a width or height value, and it scales the image down, and outputs an <img /> tag wrapped in an <a> pointing to the original image file. Simple stuff, but all the existing plugins were tied to imagemagick, which I hope to leave behind. Source code/README here, RubyGem here. 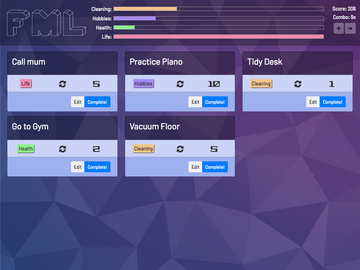 FML is an app in which you give yourself tasks to do, and assign various point values to them. You log the completions of the tasks, and clock up a running total of points. 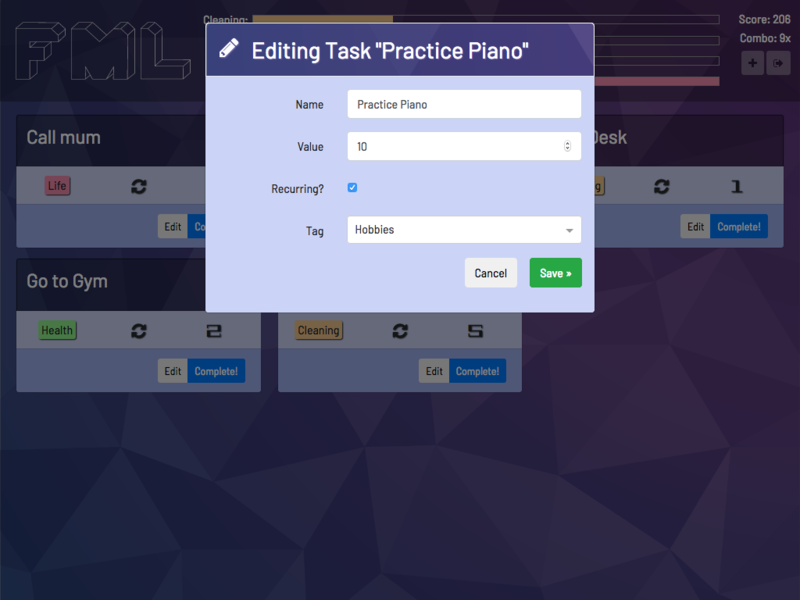 In other words, it’s a standard task tracking app with elements of gamification. It also has an ugly purple color scheme. You can sign up and use it here. The source code is available here. TinyCI is basically a git hook that builds your project and runs your tests when you push a new commit. It’s pitched as a CI system, so a competitor to enormous systems like Circle and Travis. Really though, its much more along the lines of directory watcher scripts like Guard which people use to automatically run their tests whenever they save their files locally. For a full exploration of the architecture and limitations, please see the project’s README.